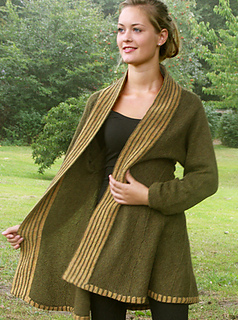 and shaped with short rows below the waist. 100 (100) 100 g Randfarbe. Ein Rest Hilfsgarn: ca 10 g.